Are you looking for a professional TV Installation and repair service in Christchurch? 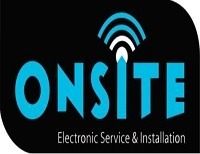 Onsite Electronic Service are here to help! Established in 1982, we specialise in onsite electronic service and installations and work is completed by a Registered Electronics Service Technician. Whether you require wall brackets installed, tuning and setup or technical support, we have the skills and knowledge to get your digital equipment up and running quickly. Simply visit our website for more information about the services we provide or give us a call today.